If we want to someday live on Mars, spaceships won’t be enough. 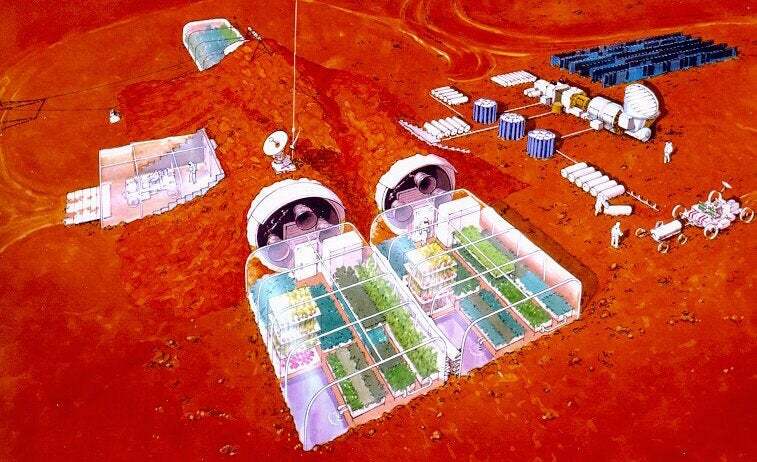 We would need a Martian city — and this is how we might build one. In many ways, the problem of moving to Mars is simply a packing problem. We need a lot of gear (food, water, shelter) to keep us alive, and the only way to ensure that we have that gear, at least at first, is to bring it along with us, like turtles carting our homes on our back. If you’re talking about life on Mars and not just a holiday or a research trip, we’ll need more than just the most basic means of supporting life. We’ll need large infrastructure, including sturdy housing that lasts. We’ll need agricultural structures and storage. We’ll need roads for transport. And the means to get a lot of that is by mixing concrete, which is why researchers at Northwestern University’s Civil Engineering department have been working on an usual project: how we might transform Martian dirt into Martian concrete. In a working paper posted on ArXiv, lead researcher Lin Wan and her co-authors lay out a process to use molten sulphur to mix with Martian dirt and then let it set until it hardens. It’s an intriguing idea, but also raises some complicated questions. For instance, how would we get all these materials together? The hope is that explorers would be able to locate and then mine sulphur on Mars. Once that source has been located, both conventional concrete mixing methods or perhaps something a little more precise could be applied. 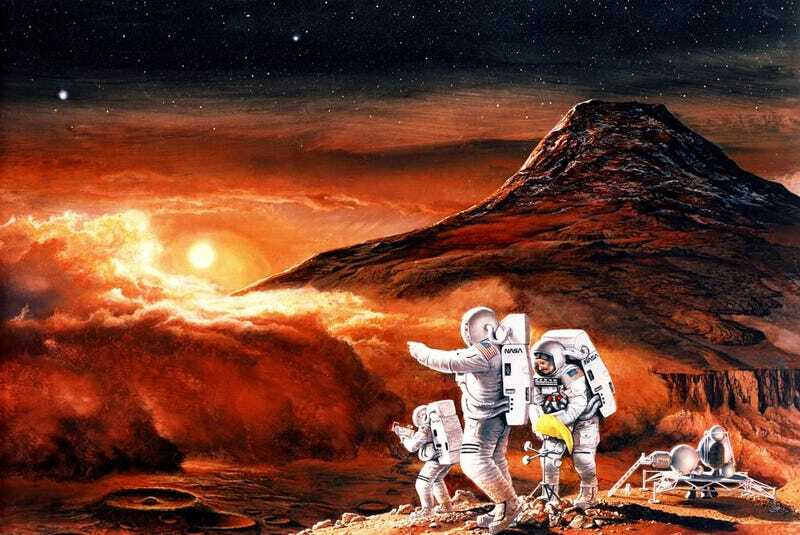 “The easiest would be finding a sulphur mine on Mars,” Wan told Gizmodo. “Otherwise, it is the work of chemistry to extract sulphur from sulphate salts or other forms. Hot mixing should be easy to operate with solar energy. The last step of construction requires certain formwork to leave Martian concrete in desired shapes. I envision this to be combined with 3D printing techniques.” And, once that’s done, Wan says that it could be used for all manner of structures, including roads, tunnels, bridges, and homes. As yet, Martian concrete has not undergone an actual test on Mars. The researchers believe that the concrete would be up to three times tougher in Mars’s lighter gravity. But there are also some dangers that could be experienced even more strongly on Mars. Of course, building a city is only one part of the challenge; the even greater one may be living in it. And before that can happen, there are other obstacles that would need to be cleared. How would we regulate temperatures? How we would grow food? How would we get breathable air, clean water, and fresh food? These and more questions would all need to be answered before we begin construction. Still, a concrete that could be made on Mars opens up the possibility for not just more solid structures, but means to get between them — and that’s at least one of the big puzzles we’d need to solve before heading up there.